Veterans Affairs Canada bombards media to sell inadequate programs with paltry incremental changes. Meanwhile, veterans and their families continue to suffer. OTTAWA—The federal government is holding yet another stakeholder summit on Oct. 5-6 in Gatineau, Que. Veterans Affairs Canada claims such “engagement” fulfills requirements to consult with stakeholders. In reality, summits like other government tactics over the past decade, are geared towards corralling and silencing veterans while sidestepping a wider public discourse on veterans’ issues. True stakeholder consultation is the last thing senior bureaucrats want. The implication is that VAC will act upon those needs. However, in the reasons for building “relationships with stakeholders” absent is government’s commitment to act upon those needs. In fact, the last priority is merely to “seek advice and input on new initiatives.” The “desired outcome” of the last summit was that participants “feel engaged and heard” and “feel their input and presence is valued.” No action, just feelings. Are the six advisory groups, like the stakeholder committees, to be nothing more than time-consuming projects to silence the most prominent and/or vocal veterans and groups? The recent regulations for the new Liberal programs inserted a Trojan horse. The already inadequate lumpsum for pain and suffering will lose much future value. It will no longer be pegged to long-term increases in public service salaries. The majority-if not all-the recent new regulations were not passed by the summit participants last May. Were the six advisory groups made aware of the Trojan horse? Were group participants complicit in eroding the future value of the justly maligned lumpsum? Veterans have long fallen for the game that if government provides a forum like an advisory group, stakeholder meeting, Facebook live townhall, or online “have your say,” that VAC will develop a timely program to address identified needs. Veterans’ eternal faith in the system of government for which they sacrificed has provided merely a market for many explicit and implicit snake-oil promises. We must credit senior bureaucrats and politicians for knowing how to manipulate veterans’ vulnerabilities. 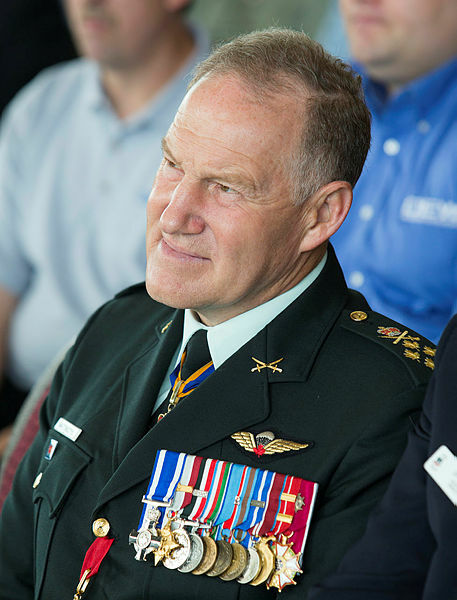 Veterans deeply believe in Canada and usually its system of government. Some may call this naïve, but I believe it is a genuine and well-indoctrinated faith that government will do the right thing. Why else would a Canadian go through the most intense legal brainwashing permissible, willing to sacrifice life and limb for that system and the nation? Military members must follow orders with life or death consequences. Why aren’t bureaucrats forced to follow orders with life or death consequences for the care of veterans and their families? This past decade federal bureaucrats have broken laws and suffered little or no repercussions. The senior ranks of the public service protect their own; they do not protect veterans. CF members are also indoctrinated to obey authority. The higher the authority, the greater the subservience. This is why former top general, “Uncle Walt” Natynczyk was appointed as VAC’s deputy minister. Veterans will be unlikely to question Natynczyk’s inaction and excuses for not moving on policy issues universally agreed-upon more than a decade before. Meanwhile, senior bureaucrats monitor break-out groups, asking individuals, most not disabled or educated in public policy, rehabilitation or historical veterans’ programs to discuss these very issues. Naturally, the result is haphazard advice that cannot stand up to bureaucratic or political authority. However, military members mistrust and loathe the media. CF perpetuates the belief that media will distort, manipulate, and misrepresent anything about the military. This mistrust is coupled with a deeply held belief that veterans speaking against government are betraying Canada and one’s military service. This is why so many veterans who buy into government’s handshaking and back-patting despise those veterans who exercise freedom of expression. These outspoken advocates follow a tradition that began with Louise Richard in the mid-1990s. Like her, these courageous few realize working within the system only serves government’s agenda of inaction and will never bring about the necessary change fast enough to help those in need now. How ironic that veterans still fall for bureaucratic shenanigans to trust government and shun the media. Just prior to veterans’ scandals in 2010, VAC had just a handful of media relations personnel. Six years later, VAC has built a bureaucratic communications empire with almost 50 employees including 12 in “e-comms and marketing,” such as “social media” and “video production.” The empire is led by Jane Hicks, one of the three bureaucrats named in the 2010 veterans’ privacy scandal. VAC bombards media to sell inadequate programs with paltry incremental changes. Meanwhile, veterans and their families continue to suffer. Stakeholder engagement has become nothing more than tacit approval for bureaucrats and the ministers they manipulate to provide absent obligations and begrudging commitments for the inadequate care of veterans and their families. Will veterans realize they are being hoodwinked? Will they widely exercise the very freedom of expression for which they sacrificed so much to bring about real change?